What Options Are There for Someone Who Is Upside Down on a Home Loan? Options are limited if you are upside down on your home. 3. Can I Buy Another House if Mine is Upside Down in Value? 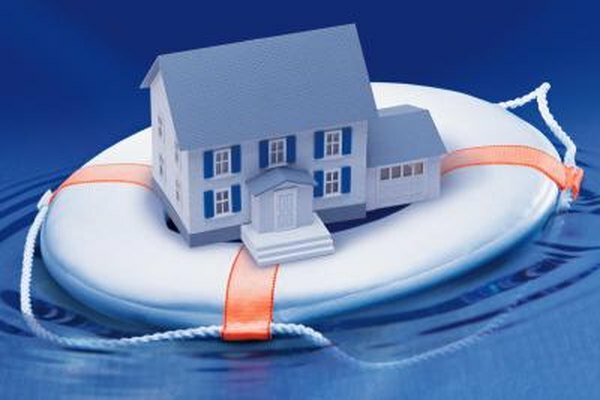 If you are underwater on your home, meaning you owe more on your mortgage than the house is worth, chances are you feel trapped. Even as the housing recovery gathers steam, you are stuck in a house you can’t sell with a mortgage you may not be able to afford. You may have some options, though limited. The programs the government established to help upside-down borrowers only help those whose loans fit certain parameters. It would be wise to find out if yours would fit. In the run-up to the bursting of the housing bubble in 2008, home values were increasing by leaps and bounds. Through the middle years of the decade, 20 percent appreciation year after year was common in many markets across the country. At the same time, mortgage financing was easy. Lenders were willing to offer 100 percent financing, confident that increasing values would strengthen their risky positions. When the music stopped, buyers who had bought near the top and the lenders who financed them were left in a precarious financial position. If your loan was financed through Fannie Mae or Freddie Mac you may be eligible for either a refinance or modification with minimal qualification requirements. A refinance pays off your current mortgage with a new mortgage at market rates. A modification alters the terms of your existing mortgage to make the payments more manageable, sometimes permanently, sometimes temporarily. The one hard rule for these programs that eliminates many potential borrowers, is that the underlying loan has to have been originated and sold to Fannie Mae or Freddie Mac prior to June 1, 2009. Newer loans are automatically disqualified from the program. If your loan is financed by the Federal Housing Administration or Department of Veterans Affairs, there also is a streamline refinance program with less stringent guidelines. If your loan was financed directly through your lender’s portfolio, they may be willing to work out a refinance or modification for you. As home values start to increase, options for obtaining a new and better mortgage should open up. Typically, to get a brand new mortgage you need at least 3 percent equity in your home. You probably are not as upside down on your mortgage as you were a year ago. If you have a 401(k) or other asset that can be used as collateral, consider using a loan against it to pay down your mortgage enough to refinance the new balance. If you have no way to refinance and cannot continue to pay your mortgage, selling your home via a short sale may become a necessity. In a short sale, the bank writes off the difference between the mortgage payoff and what you can get in a sale. The bank has to approve the transaction and may resist, but ultimately a short sale is better for both you and the bank than letting the home foreclose. Be aware that a short sale seriously damages your credit rating. If you believe you are upside down on your home, talk to your lender right away to see if there may be an option to refinance. The good news is that housing values are increasing again. If you can be patient and keep up on your mortgage, your situation should begin to improve.